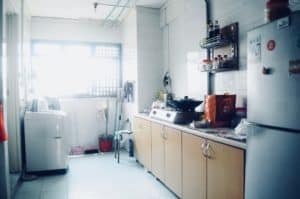 Home » Blog » Success Stories » Client Success-Story: “Sold my HDB flat in 3 weeks with Propseller”, Ricky C.
Ricky is an experienced property owner who has sold many of his units, from landed apartments to HDBs, on his own before. He knew that the time and effort it would take to do this quickly and get the best price would need someone with expertise, and chose to find an agent on Propseller. Ricky successfully sold his flat in just 3 weeks! This flat belongs to my mother, and my brother tried to sell it on his own first without a property agent. He tried for about 2 months and couldn’t make any progress, which is when I stepped in and said we need to get this done ASAP. First things first: I’ve sold a lot of properties in my time – over 10 properties if I remember correctly, so it’s safe to say that I’m familiar with the process of selling an HDB flat. But here’s the thing, I don’t have the time to attend to everything on my own from liaising with potential buyers, conducting viewings, negotiating prices to the contracting process… these things take up a lot of time. I knew that I definitely wanted to get a property agent to help me out. Although I’ve worked with some agents in the past, I didn’t want to work with them again because I did not have great experiences with all of them. Some of them cheated me, some hid important details from me and some were friends, which made it hard to thrash things out when problems were encountered. So instead of going with someone I’d worked with in the past, I decided to search for a new property agent. I did a Google search, found Propseller’s website, and left an enquiry with them. I had to fill in a form, but it was fairly quick and painless. The form wasn’t too long-winded, which was a bonus. I got a call back quickly, and Propseller recommended an agent named Queen Sie to me during this call. Queen was very prompt with reaching out to me and I decided to work with her. She came down to see my apartment to take a few pictures, which were so well taken I thought she could be a professional photographer! We also had a discussion about the price of the apartment and she told me what I could expect. 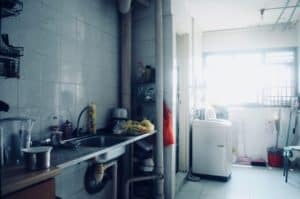 Queen was extremely detailed with my property listing where she mentioned a lot of details like the nearest hawker centre, coffee shop, other nearby amenities, number of minutes to the MRT station and so on. She really did her homework. Other agents I worked with didn’t go to this level of detail. She started marketing the property very quickly as well and I was impressed by her professionalism. Thinking back, I’ve had property agents in the past who have written wrong details and even put up the wrong floorplan on my listing! Insane, huh? Compared to them Queen was outstanding. No competition. I thought we might need to go through quite a few viewings in order to get an offer, but that wasn’t the case. We conducted just two viewings in total and the second viewer made an offer. That said, their initial offer was too low and I rejected it off the bat. However, all wasn’t lost. Queen spoke to them and told me that she was able to change their mind after much persuasion. They increased their offer to an amount that I was satisfied with and we eventually went through with the sale of the flat. All in all, it took just 3 weeks for Queen to land, negotiate and close an offer for my flat. I’m happy with the short timeframe and it was great that the deal went through quickly. A huge thanks goes to Propseller! I had a great experience with both Propseller and Queen. Without the two of them, selling my flat would’ve probably taken me many months. 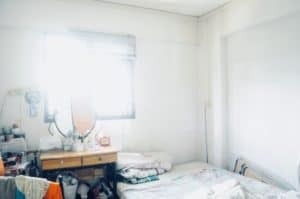 If you’re selling an HDB flat I definitely recommend looking on Propseller for reliable and professional agents who can get the job done.